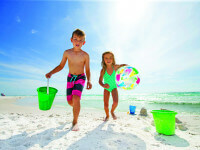 At the Hilton Sandestin Beach Golf Resort & Spa, winter means sunshine, beachside leisure and value-added amenities. 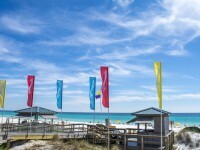 Our Destin vacation packages for snowbirds guarantee an unforgettable getaway during the year's cooler months. Join our Hilton Sandestin Beach Snowbird Program and enjoy exclusive rates, breakfast and dining specials, complimentary amenities and endless options for winter-season beachside relaxation, fun and exploration, during your winter visit to Northwest Florida's beautiful Emerald Coast. Below is a list of our 2017 Snowbird Program benefits. 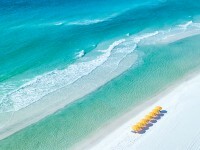 Can you think of a better place to enjoy them than at Destin's premier resort hotel? Located directly on the sugar-white sands of the Gulf Coast, we're redefining the meaning of a white winter. We look forward to serving you on your Destin vacation. Full service housekeeping 3 days a week. Trash and towel replenishment upon request. *All Snowbird program benefits are subject to change and restrictions do apply.